Come visit our new proshop which carries the newest lines of Nike golf apparel and accessories and our Foundry Grill. Enjoy a bite to eat or draft beer in the dining room or take a moment to enjoy the views on our porch and patio. 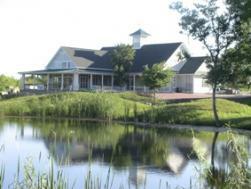 The Clubhouse at ShadowGlen is the perfect venue to host your golf outing or special event of any size. Book your golf outing or special event by calling General Manager Grant Hutchinson at (512) 278-1304 or emailing him at gm@shadowglengolf.com. 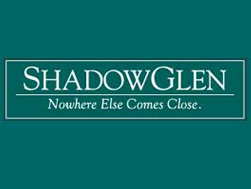 ShadowGlen Golf Club wants you to be able to practice every shot possible. With our newly renovated 380 yard driving range, we offer various target greens to hone your skills. A 3,000 sq. ft. putting green, manicured perfectly to mimic course greens, allows you to focus on your putting. 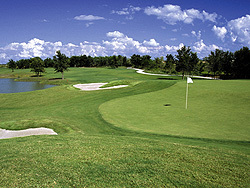 A recently added short game facility was installed in 2011. Equipped with multiple bunkers and course like conditions, the new short game facility is sure to improve your game. ShadowGlen, located in Austin’s dynamic new northeast corridor, is a premier master-planned community with exciting amenities and plenty of time to savor them, thanks to an easy commute that provides unrivaled convenience to Austin’s business centers. Technology firms in the immediate vicinity of ShadowGlen, such as Dell, Samsung and Applied Materials, all an average of 10 minutes away, are accelerating the corridor’s thriving economy. Bergstrom International Airport is an easy 10-minute drive and the new Highway 130 bypass is close-by. Even the town of Manor, where ShadowGlen is situated, is experiencing a reanissance across its rich historical land.